We are currently teaching the OT book of Ezra in our local congregation. Ezra 8 mentions Ahava as a place (v.15) and a river (note NET: “canal” and NLT: “Ahava Canal” (vv.21,31). This [Ahava] has not been identified, though it appears from v 21 that both the canal (lit., “river”) and the locality shared the same name. We must assume from the context that it was a large open space close to Babylon. Babylon itself was built on the Euphrates river from which flowed a number of artificial canals and waterways for defensive purposes (cf. IDB 1, 334–38; Ezek 1:1; Ps 137:1). Ahava was no doubt one of these (Williamson, H. G. M. Ezra, Nehemiah, Word Biblical Commentary, p. 116). Our photo shows the Euphrates at Zeugma, named Selucia during the Grecian intertestamental period. Euphrates River at Zeugma. Photo by Leon Mauldin. I took this photo in Upper Mesopotamia, near the Birecik Dam, well north of the area referenced in Ezra 8, but it serves well for illustrative purposes. 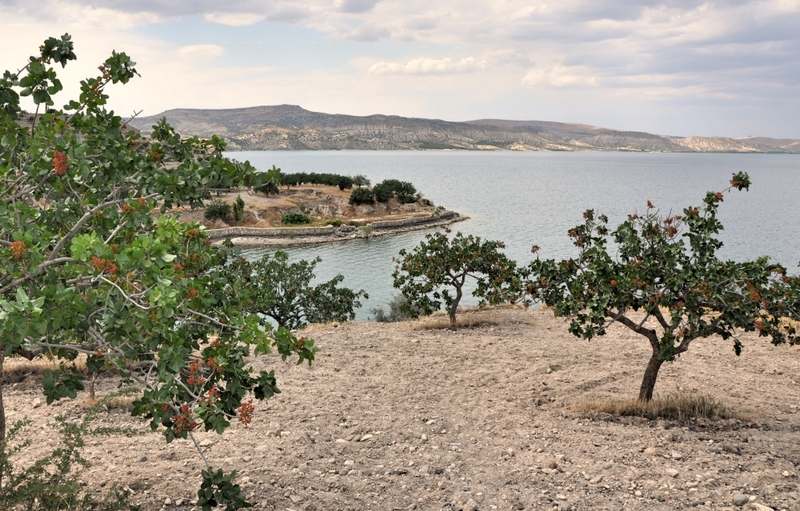 In the foreground are pistachio trees. 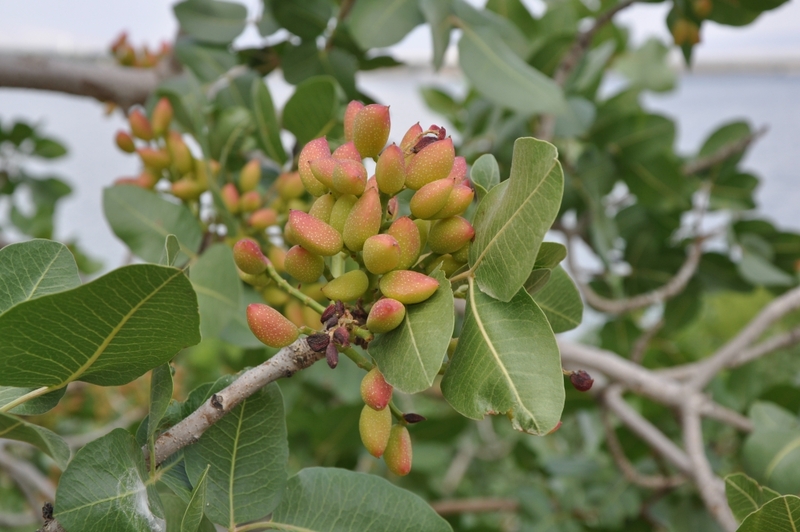 Pistachio tree, close-up. Photo by Leon Mauldin. Originally, the ancient city of Zeugma was founded as a Greek settlement by Seleucus I Nicator, one of the generals of Alexander the Great, in 300 BC. The city was called “Zeugma”, because of the bridge across the Euphrates River that was made of pontoons, thus connecting the two banks of the river. In Greek, “zeugma” means “bridge-passage” or “bridge of boats”. The population of the city at its peak was approximately 80,000. In 64 BC the city was conquered and ruled by the Roman Empire. During Roman rule, the city became one of the attractions in the region, due to its commercial potential originating from its geo-strategic location because the city was on the Silk Road connecting Antioch to China via a bridge of pontoons across the river Euphrates, which defined the border with the Persian Empire until the late 2nd century. In 256 AD, Zeugma experienced an invasion and was destroyed by the Sassanid king, Shapur I. The damage from the invasion was so drastic that Zeugma was not able to recover for a long time. To make the situation even worse, a violent earthquake buried the city beneath rubble. Indeed, during the rest of its time under Roman rule, the city never regained the prosperity it had once achieved. Zeugma and environs remained part of the Roman empire. During the 5th and 6th centuries the city was ruled by the Early Byzantium or Eastern Roman Empire. As a result of the ongoing Arab raids the city was abandoned once again. Later on, in the 10th and 12th centuries, a small Abbasid group settled in Zeugma. Finally a village called Belkis was founded at the site in the 17th century. (Wikipedia). To see another of my photos of the Euphrates click here. Ferrell Jenkins has several entries on the Euphrates including here and here.